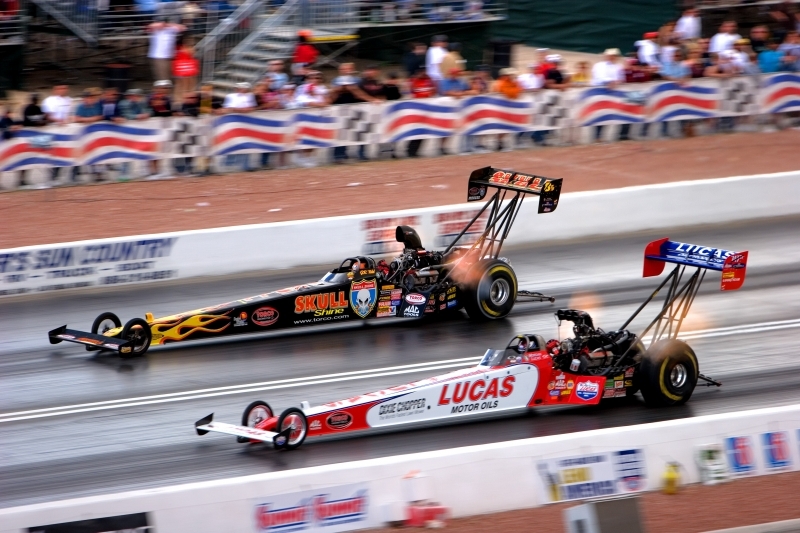 Nitro powered top fuel dragsters can top out at 320 mph in 1000 feet. At 6400 horsepower, just one cylinder puts out as much power as a single NASCAR engine. This is an HDRI image using a single RAW file.